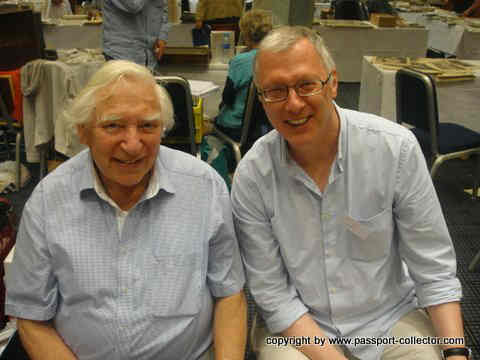 A pleasure was to meet William Kaczynski again, the book author of “Fleeing from the Führer”. William is writing about “People who makes a difference” and he came to inspect the just acquired Wallenberg Schutzpass. On the pages 145/146 of his book he is displaying also a Wallenberg which is in his own collection. Together with my “assistant” Ed we had many interested visitors at our stand and I believe it was quite refreshing for many visitors and dealers to see a “new” collection topic at the Ephemera Fair. 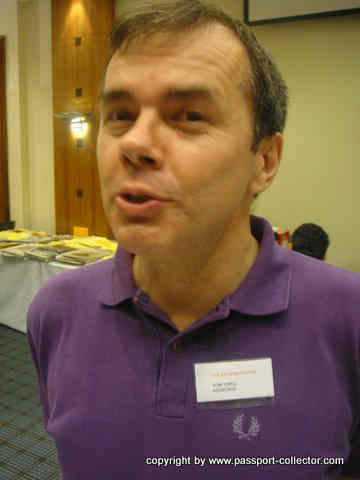 I got great new contacts and all other colleagues were very friendly and supportive. I spend a great time there. 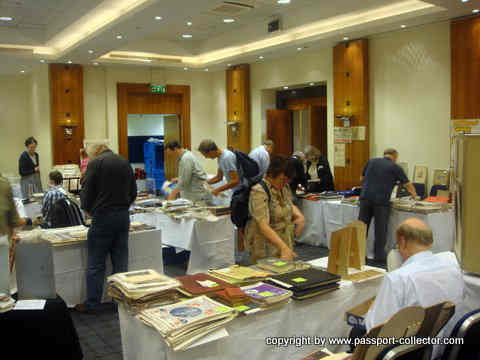 As there was at the same time another “Paper Fair” just a few hundred meters far away at a hotel this Ephemera Fair was not that frequently visited as usual as some dealers told me. Everybody seems to take benefit of the large international antique book fair at Olympia. That`s why many fairs were held at the same time. …and my friend is right! Never place any liquids near Ephemera! Quite interesting was my sale of 5 passports to a interior architect who want`s to design a new house with these passports. 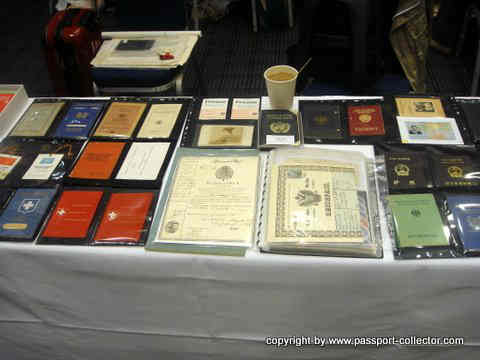 Again old passports going into art works. Glad to see you had a useful trip to London again recently, Tom – your web site is certainly a great resource. Thanks again for your help. Thank you Andy. Glad you found again something for your collection at my website. Stay in touch and thank you for your kind words.